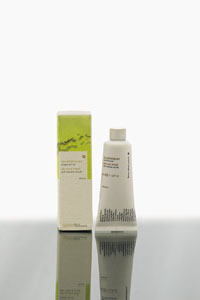 After the cold, harsh winter, the arrival of spring offers the opportunity to start afresh with your skin care regime. Skin care professionals recommend exfoliation to remove dead skin cells, and to regenerate the active cells lurking beneath your tired, jaded epidermis. Treat yourself to one of these products, and buff away to reveal a glowing visage. Olive oil and lavender extracts have healing properties, as many aromatherapists will attest. The inclusion of these botanical balms, along with palm, coprah, and vegetable oils, stimulate skin cell regeneration. 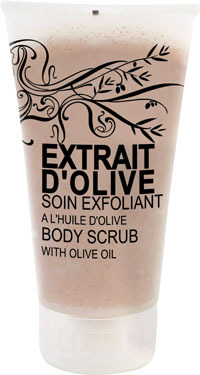 This soft scrub is ideal for sensitive skin, as the granules are ground down into smaller pieces, and sparsely distributed. Almond meal, active aloe vera and wheat germ oil are blended together to refresh the pores and remove dead cells, revealing glowing skin. Part of Benefit’s charm is the eclectic packaging, and this scrub doesn’t disappoint. Conveniently tube-squeezable, this thick creamy paste scrub contains moisturizing honey, vitamin E, and grains of sweet almond which gently rub away grime and dead skin. Celine, Whitney, Barbra ... the verdict is out!